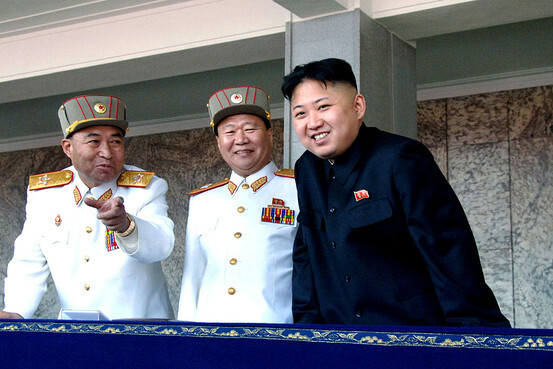 North Korea’s Second Rocket Launch in 2012 | Center for Strategic and International Studies. Concerns about possible instability in North Korea were raised this week when Vice Marshal Ri Yong-ho, head of the General Staff, was abruptly dismissed. The move smelled of a power struggle. 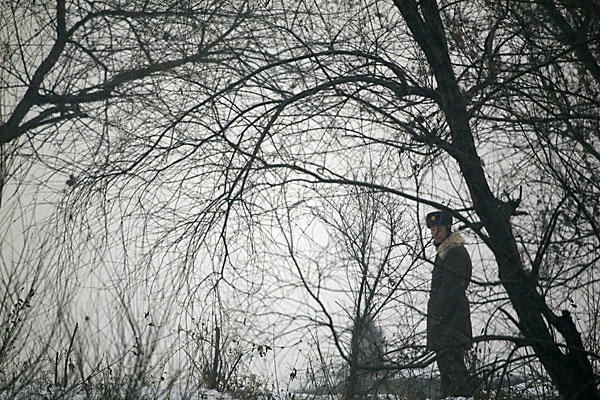 The subsequent announcement that Kim Jong Eun was elevated to marshal—a military rank second only to the “Grand Marshal” bestowed on Kim Il Sung and Kim Jong Il—indicated that he retained the upper hand in the battle for control in Pyongyang. Last week the news out of Pyongyang provided some amusement and hope for positive change, as Kim Jong Eun was serenaded by Disney characters and other Western cultural icons. That sparked serious speculation that the new leader might be more open to economic and political reform than his late father. • A classic struggle for power between the leader and potential contenders is the most likely explanation for recent events. But was Gen. Ri’s sudden removal due to a more secure Kim Jong Eun able to purge from even the innermost circle to further consolidate his power? Or did it indicate that older leadership elites felt emboldened enough to attack a key Kim loyalist? We don’t know. • Then there’s also the issue of parity between the Korean Workers’ Party (KWP) and the military. 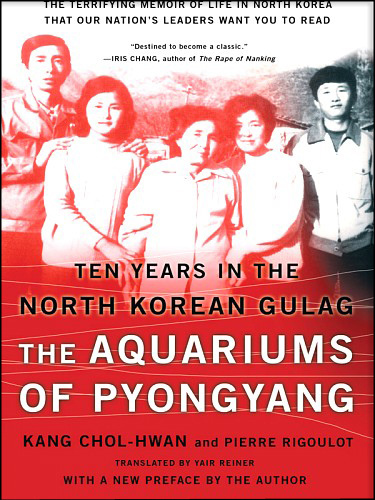 Under Kim Jong Il, power shifted from the former to the latter, as the National Defense Commission became the preeminent center of government power. But under Kim Jong Eun, the KWP has attained a stronger status, regaining some power from the military. Some experts speculate that the KWP’s Central Military Commission could eventually eclipse the National Defense Commission as arbiter of North Korean military policies. Associated Press Vice Marshal Choe with the new boss. In that light, Gen. Ri’s dismissal could reflect a struggle for parity between the party and the military, the goal of which is to reduce entrenched military power. The problem is that Gen. Ri ouster had a foot in several competing camps. He was rewarded by both Kim Jong Il and Kim Jong Eun, he was one of Kim Jong Il’s pallbearers, and he was—until this week—thought to be the younger Kim’s military mentor. Thus, he was a “made” member of both the old guard and the new regime. He also held positions of authority in both the military and KWP. He was a member of the KWP Central Committee Presidium, the party’s highest-level body, and co-chairman of the Central Military Commission. • Rather than a struggle to wrest power from Kim Jong-un, the purge may instead result from people fighting for closer access to Kim. There are widespread rumors that Gen. Ri was defeated in a struggle with personal rival Choe Ryong-hae, a senior party official. Gen. Choe also recently became vice marshal, a member of the decision-making KWP Politburo Presidium and vice chairman of the party’s Central Military Commission (despite no military experience). 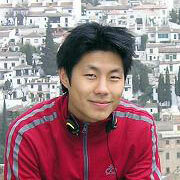 He is thought to be close to Jang Song Taek, Kim’s uncle. During the important 100th anniversary celebrations of Kim Il Sung’s birth, Gen. Choe stood at Kim Jong Eun’s side, indicating his status had overtaken that of Gen. Ri. • The least likely explanation for the purge is a debate over policy. Kim Jong Eun’s Mickey-Mousing resurrects the discredited theory that a despot’s appreciation of Western culture is supposed to presage an embrace of democracy and market principles. Gen. Ri’s removal played into this theory with adherents depicting him as a hardliner striving to obstruct Kim’s desire for bold reforms. Most importantly, Kim violated U.N. resolutions by ordering April’s launch of a long-range ballistic missile. Nor should we forget that he oversaw the brutal purges that killed of hundreds during the past two years and has been credited with masterminding Pyongyang’s two acts of war against South Korea in 2010. There’s one thing we know with relative certainty: That Kim Jong Eun felt it necessary to purge Gen. Ri strongly indicates his transition isn’t proceeding smoothly. Additional purges and organizational shakeups should be expected in coming months. All this is worrisome to the U.S. and its allies, since it increases the potential for provocative acts or, more ominously, the implosion of a regime possessing nuclear weapons. 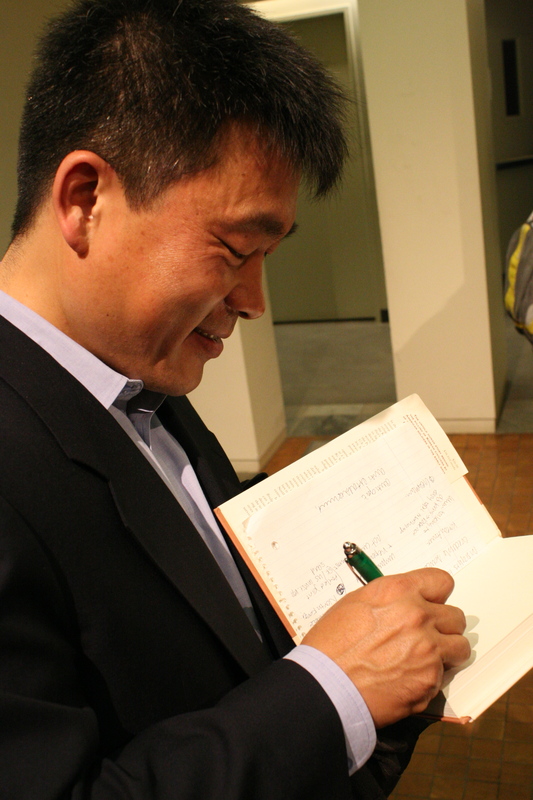 My favorite journalist had been a certain white-haired fellow on a cable news station until I met Mr. Sang-Hun Choe of the New York Times and International Herald Tribune at a lecture about North Korean issues in the media at Wellesley College this past spring. Thoughtful and soft-spoken, Mr. Choe was too polite and humble for my presumptions of what a New York Times Asia Correspondent with a Pulitzer Prize winning book, The Bridge At No Gun Ri, co-authored with Charles Hanley and Martha Mendoza under his belt would could be like. I had been a fan of his New York Times pieces on North Korea in the past because his articles were comprehensive and clearly revealed that he did his research. Judging from his writing, I assumed that he crafted his English in the United States or another English- speaking country, but much to my surprise, and probably to many Korean parents eager to send children abroad, he had never studied outside South Korea until his recent stay as a Koret Fellow at the Walter H. Shorenstein Asia-Pacific Research Center at Stanford University. Meeting him in person not only bumped the Silver Fox down my fan list, but also reminded me of the dedication that some journalists put into investigating topics and publishing their work for the world to read. The following interview shows a glimpse of journalism, North Korea issues in the media, and of the man behind the text. As a study abroad student through the CIEE program, I was recently privy to attend a talk on North Korea by Professor Andrei Lankov, one of the world’s most renowned scholars on North Korea, a current professor at Kookmin University and even a past attendee of Kim Il sung University. Professor Lankov’s goal was to introduce and talk about the North Korea regime in one hour or less, and in that time he addressed many off-hand questions I’ve wondered about in the past. Let me share with you what I learned! 1. Current Leadership and the Heir. One question I’ve always had is why nothing happened to Kim Jong Eun, the third son of Kim Jong Il, when he was studying abroad in Switzerland. He attended classes, met professors and interacted with students to some degree, right? Here was a chance for the regime to end and for North Korea to drastically change! 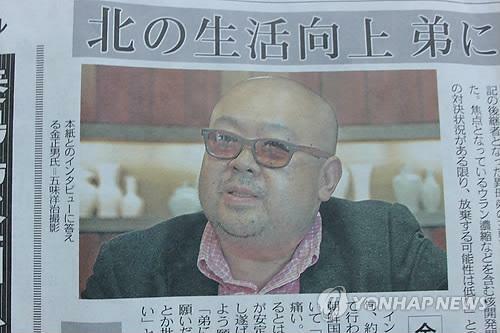 However, Kim Jong Eun wasn’t touted as Kim Jong Il’s son but rather posed as the son of an ambassador. He had personal bodyguards around him all the time, had limited interaction with others around him, and of course, being in Switzerland, was protected (since Switzerland is a neutral country). When I first heard about Jason Ahn, I was surprised. Read his profile and you’ll know why: Jason is from California and the Director/Producer of Divided Families (http://dividedfamilies.com), a documentary film that tells the story of the first generation Korean Americans who were separated from their family during the Korean War. He is also a third year medical student at Harvard Medical School. Last year, he finished a year-long study at Harvard Kennedy School, part of his MD and MPP (Master’s degree in Public Policy) joint degree program. In fact, here is a snapshot of his life: he stays up all night waiting for babies to be born for his residency program, comes back home in the morning, catches some sleep, attends a conference, meets up with a MOU Overseas Student Correspondent for a quick interview about his film, before he runs back to the hospital where more babies are born, with barely a time to grab his dinner. Plus, he has to finish editing the documentary film, which is coming out at the end of this year. No wonder his favorite show is The Simpsons— he admits not having watched TV for a long time. The intensity of his life got me very curious: why is he doing the Divided Family project? What could have possibly ticked this already sleep-deprived physician-in-training to sacrifice more hours of his sleep? The first Korea Global Forum was held in Seoul, Korea on September 9-10, 2010. Co-hosted by the Ministry of Unification and the Ilsun International Relations Institute, there were 11 countries present, and had Former U.S. Secretary of Defense, William S. Cohen, as the keynote speaker. 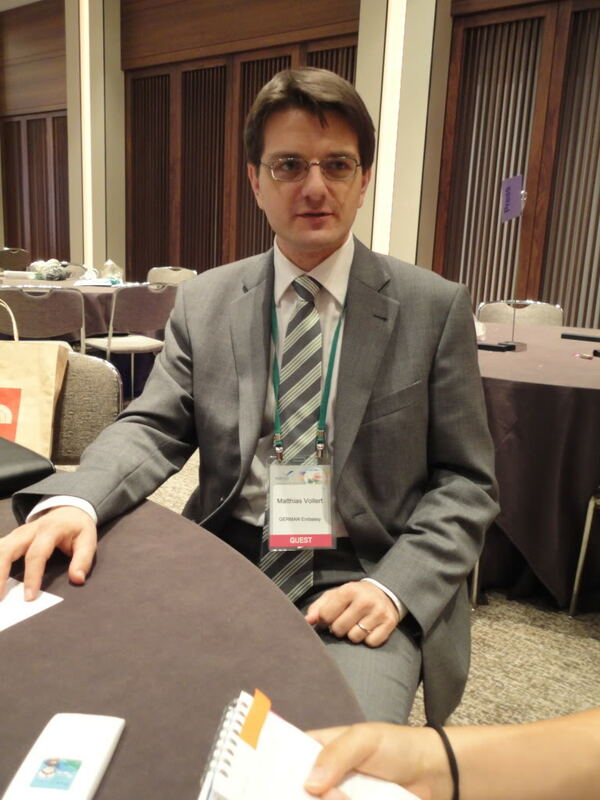 The very first Korea Global Forum (KGF) was held on September 9-10, 2010, in Seoul, Korea. Co-hosted by the Ministry of Unification and the Ilmin International Relations Institute and sponsored by Dong-A Ilbo, the Forum was created to foster international dialogue about three main issues: recent security developments in the Asia-Pacific region, issues and prospects for the North Korean nuclear problem, and peace on the Korean peninsula and global security architecture.